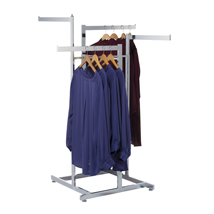 Holds 20% more than standard clothing racks! 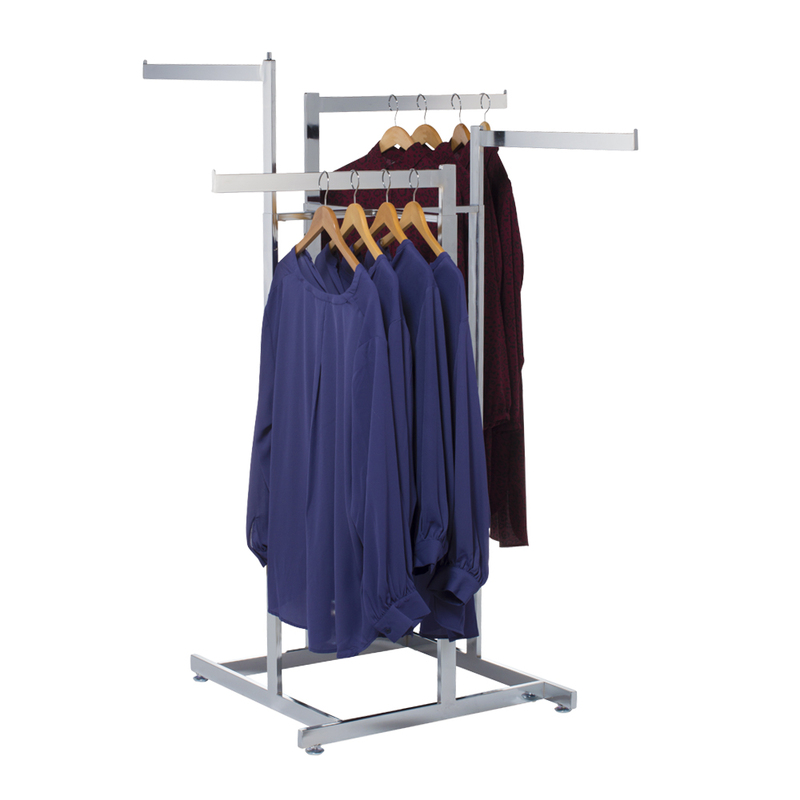 High Capacity 4-Way Apparel Rack holds 20% more than standard clothing racks. This retail clothing rack has four straight 24 in. arms that can be independently adjusted every 3 in. from 48 in. to 72 in. Rectangular tube base and arms. Includes adjustable levelers. Extend the rack`s display capacity with twist-on extra arms (#C102). Optional casters available, item 1030. For further offerings, we ask you to take the occasion to look at our comprehensive collection of retail clothing racks for sale at Specialty Store Services today.